If you are interested in getting Thailand BOI promotion for Amusement Parks, Open Zoos, Hotels, Hostels, Race Tracks, Convention Halls, Exhibition Centers, now is the time. As we all know, Thailand is one of the most visited countries in South East Asia. 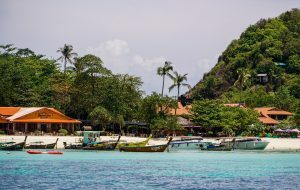 It only makes sense that many foreign investors think about having a business out of tourism in Thailand. The government makes a lot of effort in bringing and attracting more tourists all over the world. This opens a lot of opportunities and growth in the tourism related businesses. Thailand Board of Investment is offering both tax and non-tax incentives to foreigners who want to invest in Amusement Parks, Open Zoos, Hotels, Hostels, Race Tracks, Convention Halls and Exhibition Centers in the country. The benefits includes owning land for your business, import duty exemption for machineries, corporate tax exemption, dividend tax exemption, big number of work permits for foreign employees, etc. Take a look at Thailand BOI promotion for more information and contact Thai lawyers at MSNA Group who are BOI experts and knowledgeable in assisting foreigners to set up their business. Contact us and explore the possibilities of owning your tourism related business 100% without a Thai partner.